If you're an expert, you probably already know everything I'm about to say. But if you like doing your nails but haven't heard of "Konad" or "nail stamping", it's one of the easiest ways to "cheat" and create intricate designs on your nails without visiting a salon. 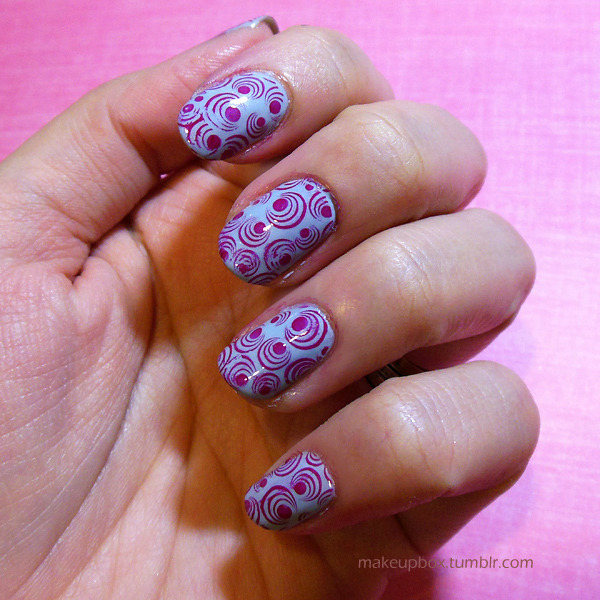 People who get into stamping get quite fanatic about it, because it's such an economical way to jazz up your nail look. 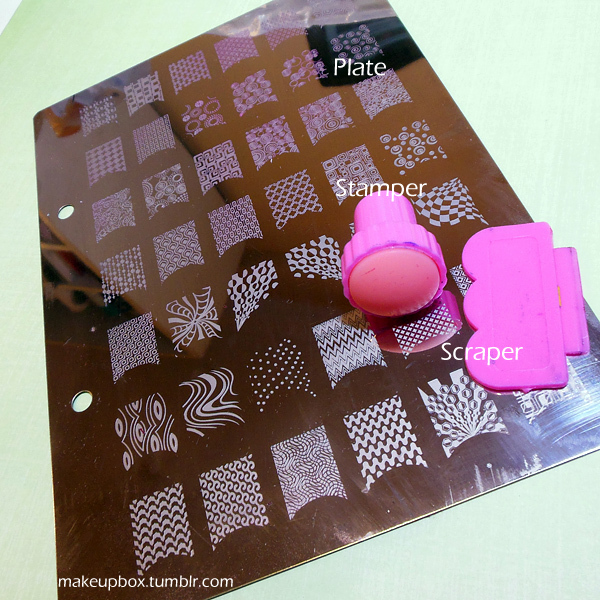 Plates and stampers can be re-used for years, and there are so many different looks and effects you can get into. It's also not hard as long as you use the right polish and good quality plates. Konad is one of the best-known brands that supply metal stamping plates and all the peripheral accessories like rubber stampers and metal scrapers (you can find them on naildelights.com). They also supply stamping polishes. Now Konad stamps and polishes aren't cheap, and there are so many different designs that you often find yourself in a "gotta collect 'em all" situation. 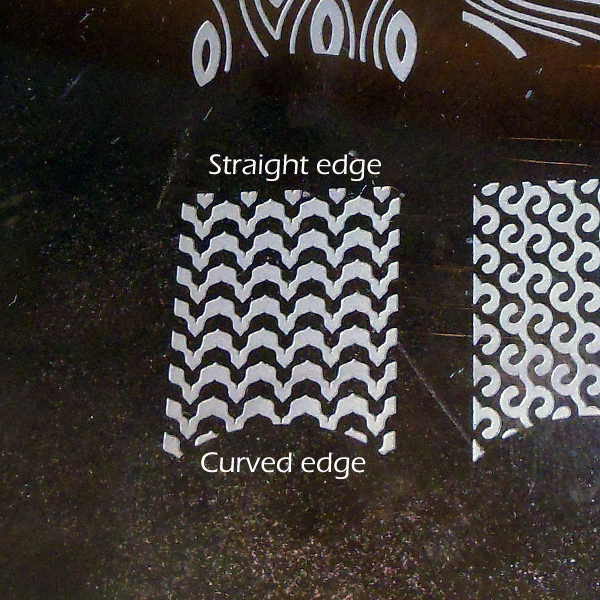 In recent years, many manufacturers have come up with alternatives to Konad, most of which are much more affordable. 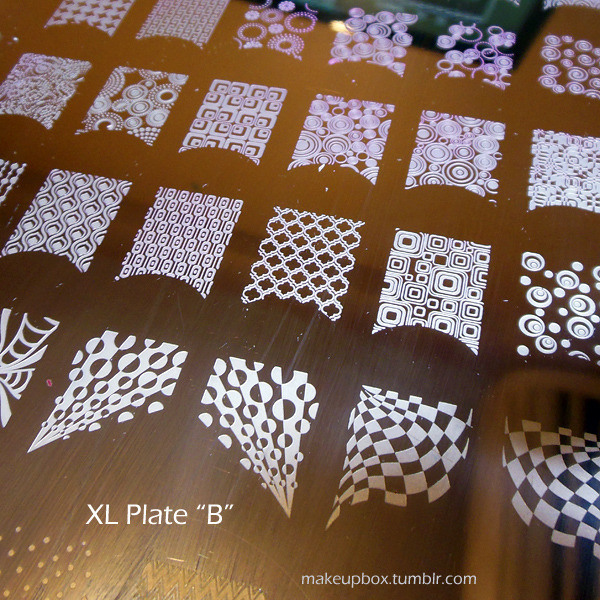 "XL" stamping plates like these below can have up to 40+ designs on them and cost as low as about US$7 each on Amazon and eBay, if you buy 3 of them. Not all work extremely well, but most are ok, and a lot depends on the stamping polish you use. 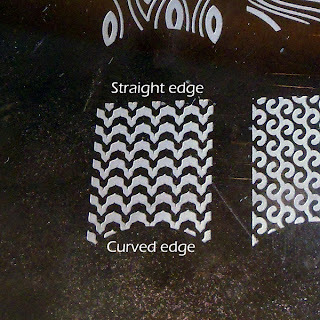 Watch out for designs that are either super thin and "web-like" (some are too fine for polish to go into the grooves properly) or too deep (your polish will "squish" and make a mess when you try to stamp). I do know most of the Cheeky XL plates and the Konads are good quality; i.e. someone actually tested them before releasing them. I won't go into the too many details since many of you would rather not read a super-long post. There are some tricks to getting it right of course, and you can take a look at videos here to get a feel of how to do it! [Repetition, I know] It's all about the stamping polish. If you don't want to buy special stamping polishes, you will need to take some time to experiment with what's in your collection. Don't expect to get it perfect on the first try. Just finding the right polishes in your collection that work well can take quite awhile, if you prefer not to shell out for Konad polishes (like me). Practice makes perfect. Watch a few videos and see how they scrape and roll the stamper. It took me quite awhile to finally grasp it. If you use a complementary color to your base polish shade, the design will be much more subtle (see the green-on-blue Asiatic fish-scale design above). If you use a contrasting color (my rose-red psychedelic spirals below), the design will stand out obviously. Metallic polishes tend to show up nicer than regular cream polishes. 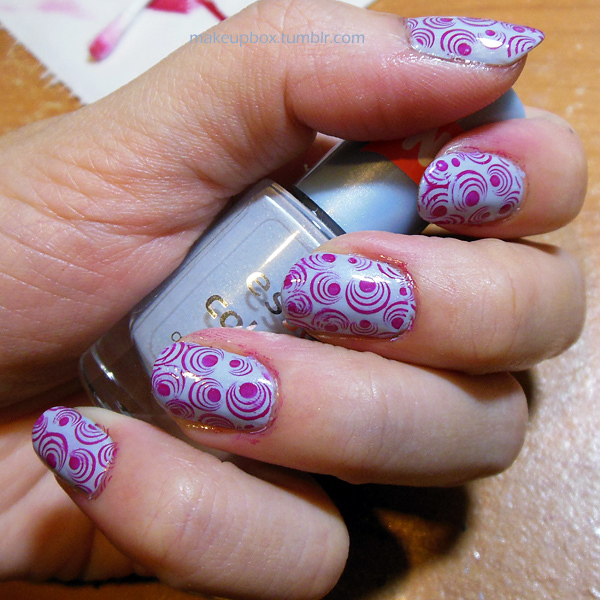 Cream polishes need to be very thick and opaque in order to make good stamping polishes. 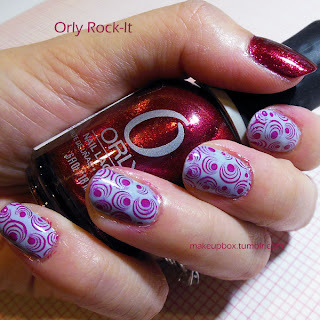 Try an accent nail in a shade that matches the stamping color, for a little extra flare. Try to use as little strokes as possible when applying top coat. Going over the same area 2 or more times could cause the stamped color to smear/run.